A Connecticut driving license is an important requisite if you are planning to drive commercial vehicles and is a resident in this state. The federal government had set some minimum standards that commercial drivers should comply with before they can be allowed to drive. This is to maintain the safety and the security of both the drivers and the other people who are on the road. Aside from this, the USA Patriot Act also requires those who wish to have a Hazardous Materials endorsement to have a background check first. You are not required to undergo a particular training in order to qualify for a commercial driver’s license in this state. The important thing is to know what particular rules and guidelines are being implemented by DMV for commercial driving as well as the necessary driving skills that you have to learn about in order to operate the vehicle properly. Hence, it is recommended for those who will be taking a CDL for the first time to get a learner’s permit first before taking the driving test which is the second part of acquiring a CDL. To be able to pass the tests for a Connecticut driving license, you should first read the Connecticut CDL Manual carefully. It contains the laws and the testing aspects that will be given during the written and driving tests. This way, you will be able to focus on these aspects and pass the exam successfully. The DMV also provides recent rules and regulations through the manual so you will be able to know about current driving requirements. The written test contains about 30 questions which you have to pass by answering 24 correctly. You will need a good grasp of the English language, visual acuity, and knowledge of the subjects discussed in the exam in order to pass this. After passing the written test, you will be given an instruction permit if it is your first time to apply for this license. You will need to submit a Colorado driver’s license with a clean record, your Social Security card, ID, and medical certifications in order to take the written test. The instruction permit will be valid for 6 months and you will need a companion with a CDL when driving a commercial vehicle. Before the 6-month expiration, you have to take the driving test. 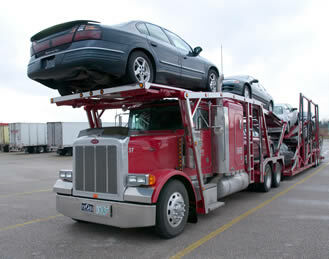 It covers pre-trip inspection, vehicle safety and emergency procedures, driving skills, and vehicle maneuvering skills. You have to pass these areas successfully in order to earn your class A license. The testing fees for both the written and driving areas are $46 and you will have to pay separately for additional endorsements. The state of Connecticut has the following endorsements for a Connecticut truck driving license: School Bus, Double/Triples, Passenger, Liquid Bulk, and Hazardous Materials. The additional requirements cost about $5 each for the tests. You need to have a TSA check if you are applying for a Hazardous Materials endorsement and this can take up to 90 days for them to finish. If you are in need of CDL training, visit this directory to find the truck driving schools in CT near you. If you want to work as a commercial truck driver in Connecticut, then you must obtain a commercial driver’s license (CDL). There are not special education requirements that you must meet to get a CDL from the state’s DMV office. If you want a license, then you’re going to have to meet several federal and state requirements. This involves taking a written exam and passing a road skills test. To pass the written exam, you should study the Connecticut Commercial Vehicle Operator’s Manual which can be acquired from your local DMV office. This manual contains law and the testing aspects that will be given during the written and driving tests. The written exam contains about 30 questions which you have to pass by answering 24 questions correctly. To further ensure that you pass the exams, we suggest enrolling in a commercial truck driving training school. Many of these schools don’t only offer proper instructions on getting a license, but they will also teach you what you need to succeed in this profession. 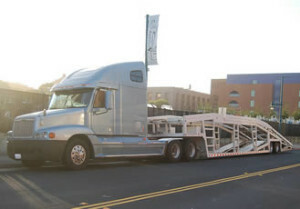 Most applicants would complete a truck driving course to get enough practice time before their learner’s permit expires. The learner’s permit in Connecticut is only valid for 6 months. After passing the written examination, you will receive a learner’s permit which will allow you to drive a truck with the supervision of a licensed driver. All you need to do now is to prepare yourself to take the road test to get a full CDL. The road test is designed to cover pre-trip inspection, vehicle safety and emergency procedures, driving skills, and vehicle maneuvering skills. You can read more about getting a CDL in Connecticut from this page. There are currently about 13,000 truck driving jobs in the state. According to the Bureau of Labor Statistics, the job growth is estimated to increase 11% through 2020, which is as fast as most jobs. The range of salaries listed for truck drivers in the state goes from $28,900 to $60,400 per year. A driver’s salary can vary depending on his seniority, how far he drives, how often he goes home, and other related factors. For over 45 years, the New England Tractor Trailer Training School (NETTTS) has provided career training for CDL Commercial Truck Driving, CDL Industry Safety Training, and HAV Service Technician training. NETTTS offers a variety of programs available in Connecticut, Massachusetts, New Hampshire, and Rhode Island.